This concert has been postponed due to weather. 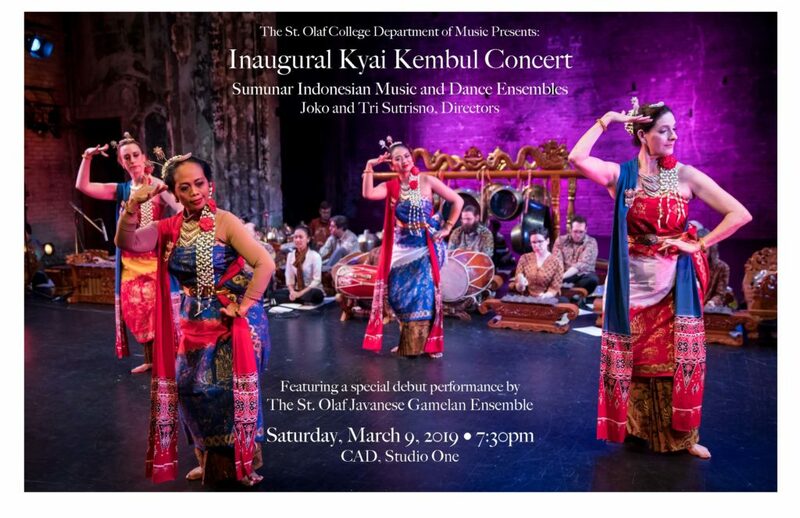 The St. Olaf College Department of Music Presents its Inaugural Concert of Indonesian Music and Dance, marking the beginning of the Javanese Gamelan Program at St. Olaf College. The Sumunar Dance and Gamelan Ensembles offer a full concert of traditional and contemporary music and dance pieces. The concert will also feature performances by the St. Olaf Javanese Gamelan Ensemble and Veselica International Dance Ensemble members. 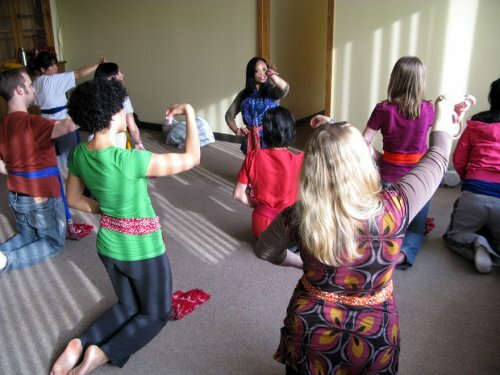 Sumunar recently moved into a beautiful new studio, and we want to celebrate! Please join us for an Open House on Sunday, December 9, 3-6 p.m. Hot tea, treats, music, and dance! Raffle for Sumunar merch! 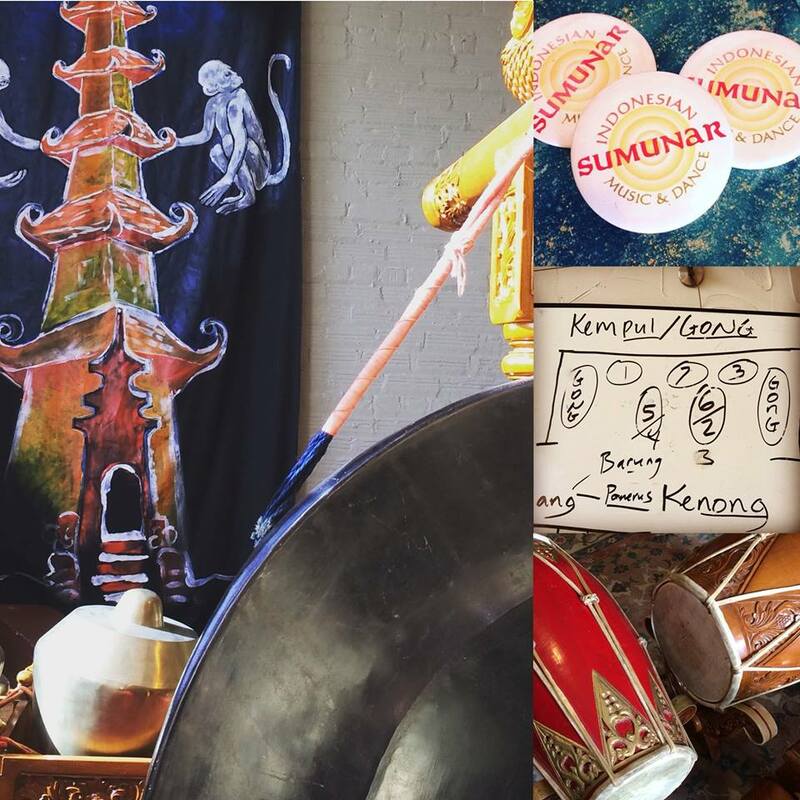 Gamelan performance at 3:15, 4:15, and 5:15 p.m.
Dance performances AT 3:45, 4:45, and 5:45 p.m.
Sumunar annual meeting/updates at 3:00 p.m. This workshop will be rescheduled. 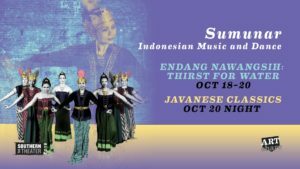 An unprecedented gamelan and dance performance! 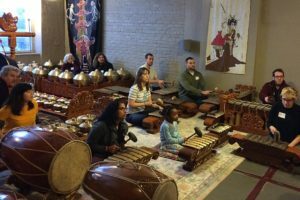 Our Saturday evening show, Javanese Classics, showcases our guest musicians, four of the world’s most respected contemporary Javanese gamelan musicians: I.M. Harjito, Midiyanto, Djoko Walujo, and Darsono Hadiraharjo, in an evening of Javanese classical music and dance. Experience world-class artistry in a program featuring the meditative long-form gendhing, which will highlight the skills of our visiting musicians. 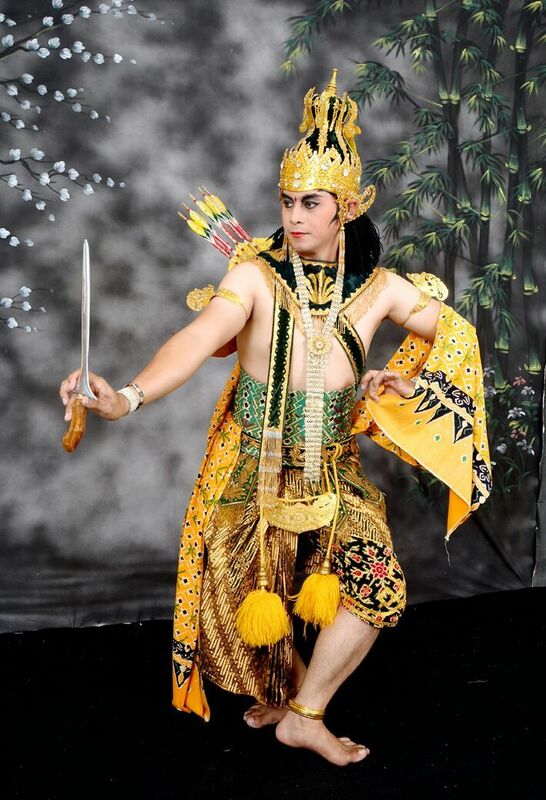 This program will also feature classical dances, including the elegant court gambyong dance and the masked topeng dance, with distinguished guest dancers Wisnu Wicaksono and Tri Kumara as the epic character Klono and his impish antagonist. 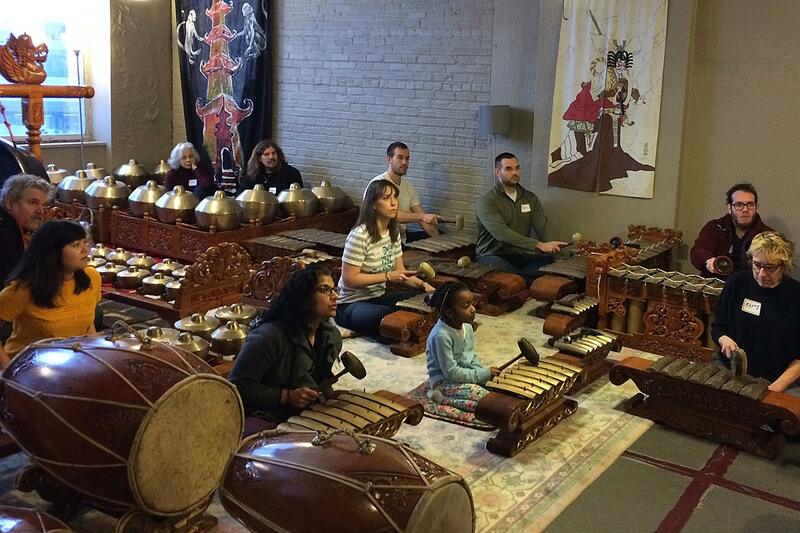 Never before has such an illustrious group of gamelan musicians been gathered on a Twin Cities stage. This is one concert not to miss! Don’t miss: free dance workshop led by Wisnu Wicaksono Tuesday, October 16, 5:30-7 p.m.
Join us for a workshop on classical Javanese dance, led by visiting artist Wisnu Wicaksono. Material is suitable for both male and female dancers. Some dance experience recommended, but not necessary. Participants will be working in bare feet. Wisnu Wicaksono is a choreographer and dancer based in Yogyakarta, Indonesia. A graduate of the Indonesian Institute of the Arts, Yogyakarta, he is the founder, director, and choreographer of Cakil Squad, a dance company that combines traditional Javanese dance forms with hip-hop, acrobatics, and other modern forms. His work has been performed at major international and Indonesian art festivals, including World Dance Day, the International Ramayana Festival, and the Asia Trianale Summer Arts Festival, Tokyo. He teaches and leads workshops on traditional Javanese dance as well as hip-hop and Latin dance throughout Indonesia. 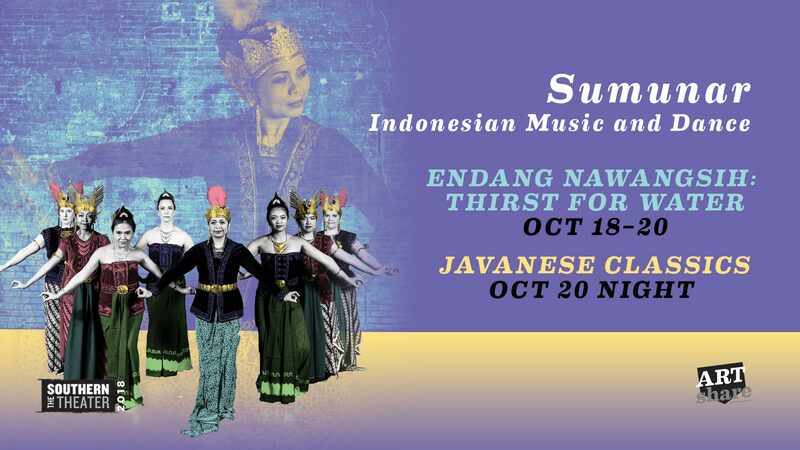 Don’t miss Wisnu performing with Sumunar in Endang Nawangsih: Thirst for Water + Javanese Classics at the Southern October 18-20.